On Did You Find The Door, the songs are open, friendly, funny and powerful in turn. 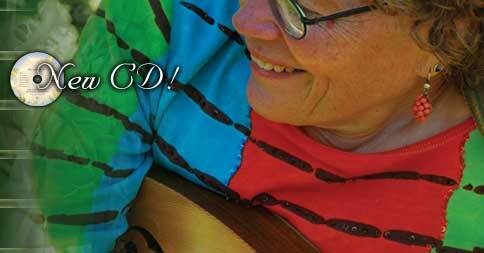 The music, played by some of Vancouver Island’s best, is irresistible and sweet. 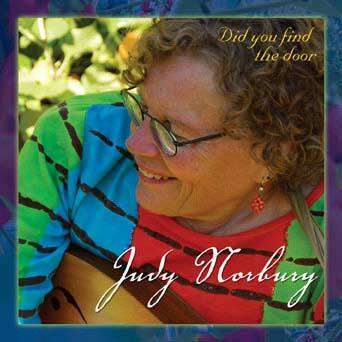 Judy’s music is planted in the soil of the Anglo-American folk tradition, and her strongest songs can seem traditional, smooth and simple, as if from years of handling. It’s hard to know if Right Side is actually an adaptation of an old song, or an original that sprang forth already aged in the wood. It sounds as if the Carter Family must have sung it. Gypsy Song, dances with rebellious glee, over and over, a children’s chant gone seriously wild, as Norbury hypnotically re-makes the old rhymes into her own. Ballad of a Soldier balances on a fine point between celebration and lament for a fallen young man who had painted the names of his repertoire on his old guitar case. Heart of Innocence is a melody that deserves to live forever. In The Game They Call Love, the fiddle reels drunkenly and the rhythm drives on, unstoppable. It is spellbinding and seductive. Norbury’s musicians are skilful, full of energy and quick to find a groove. These players lift each tune into full-bodied life with no audible effort. The music picks you up and carries you from the beginning note to the last. The production (by Todd Butler) is clean and tasteful, technically adept, and quite invisible, which makes it perfect.